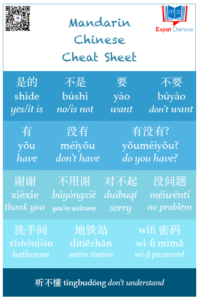 Mandarin Chinese lessons from expat to expats, teaching Chinese the Western way. Expat Chinese offers high quality Chinese lessons for all levels, both group courses and individual tutoring. We do lessons at our centers in Guangzhu, but also online through Skype and WeChat. Founder and head teacher Sara Jaaksola combines Western and Chinese teaching methods for the Expat Chinese curriculum. Besides Mandarin lessons, Expat Chinese organizes monthly student outings, cultural workshops and learning challenge groups in WeChat. Why should I choose Expat Chinese? Expert teachers guide you through learning Chinese. As an Expat Chinese student you will always have an access to both head teacher Sara and a native Chinese teacher. Together as a team we will create a study plan for you and guide you on how to reach your goals. Do you know what level you want to reach? We will tell you how to get there. Do you know how much time you have for learning Chinese? We can tell you what level you can realistically reach. No false promises! What kind of lessons do we offer? – Courses each semestery, Autumn, Spring and Summer semesters. Different levels from beginners to more advanced. – Something missing? We can create a course for you! For online lessons via Skype or WeChat, please contact us with the contact form or add our WeChat: 15002016434. For corporate and consulate training please contact us with the contact form or add our WeChat: 15002016434. If you have WeChat, please follow our public account that also serves as our website.